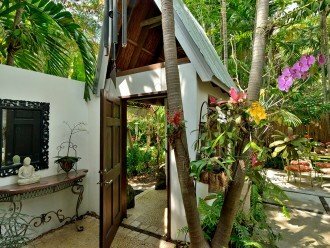 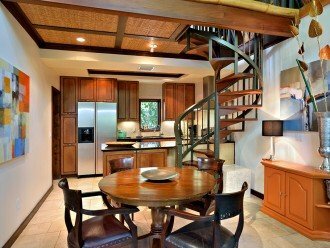 Tucked away in an inviting compound you'll find a blissful retreat called Namaste; a tranquil and relaxing one bedroom cottage. 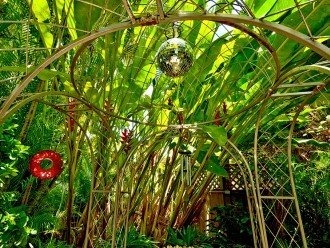 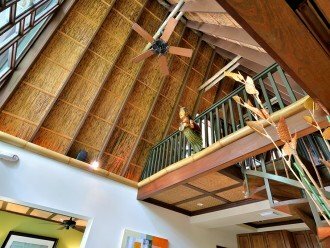 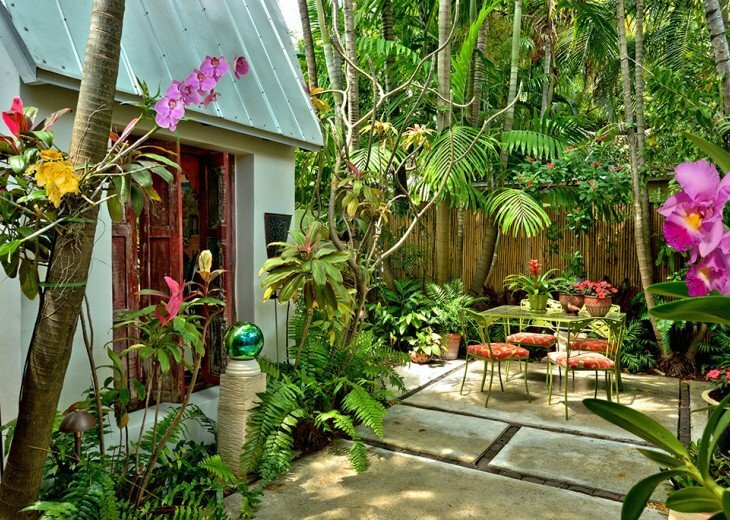 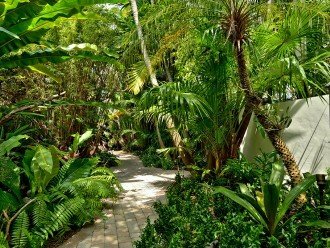 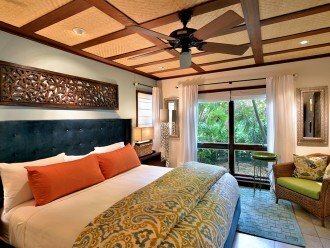 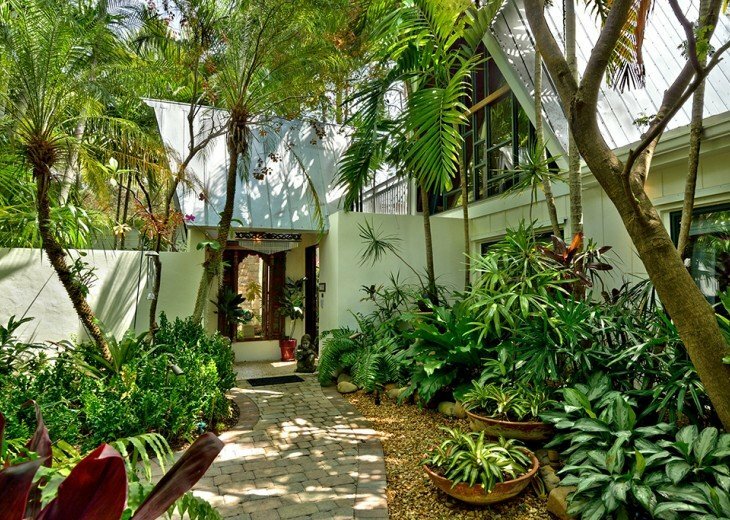 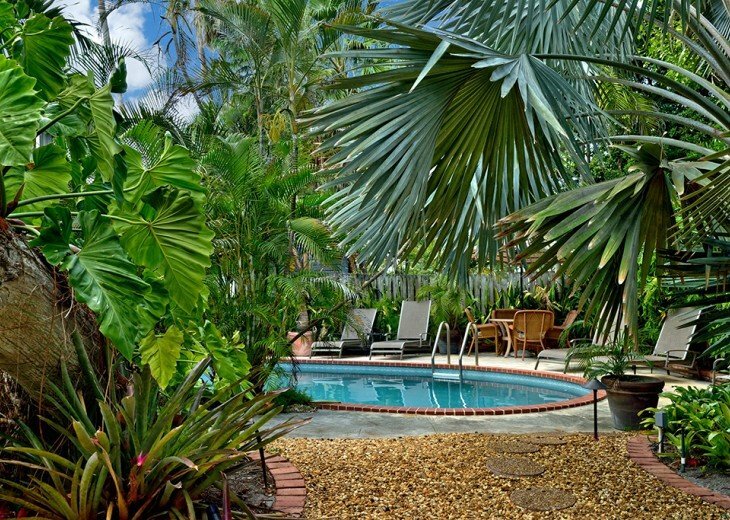 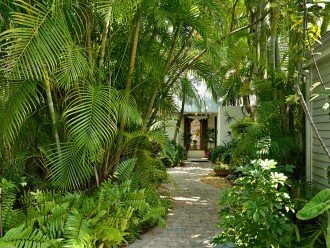 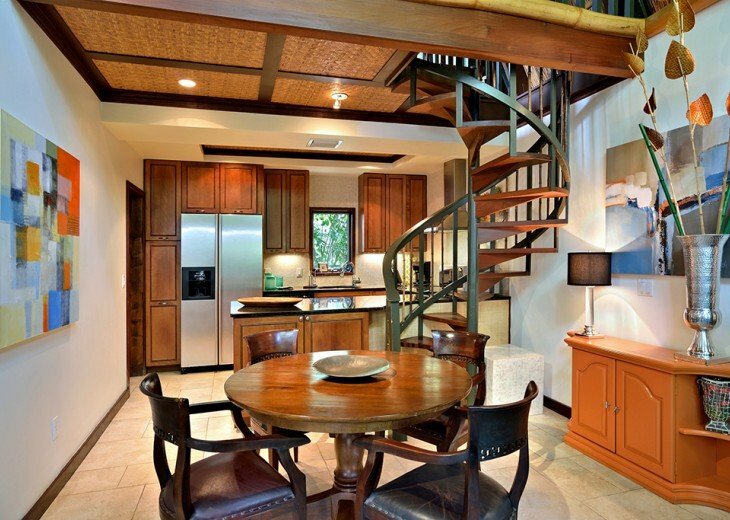 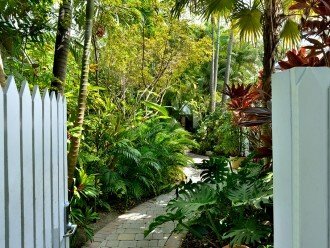 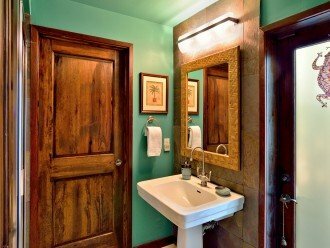 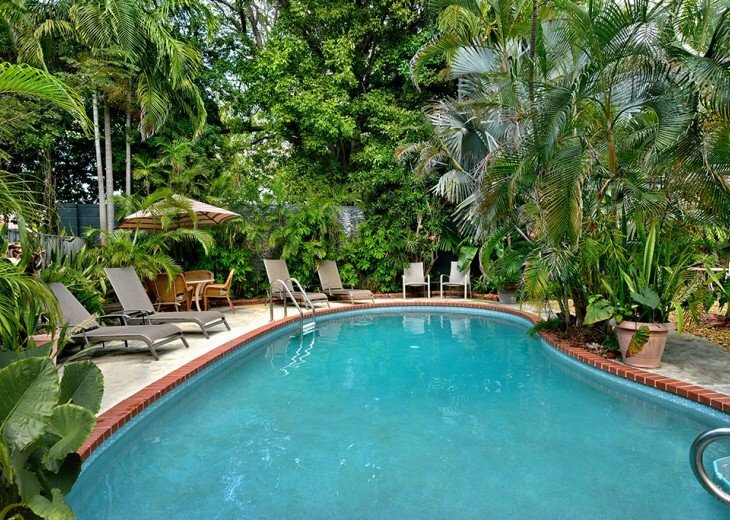 The quiet compound is located just one block from Duval Street combining the best of both worlds: relaxing and taking advantage of all that Key West has to offer. 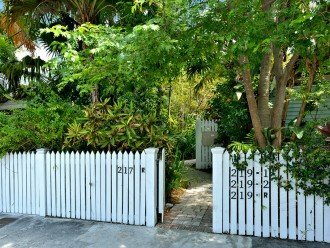 Within 2 blocks you'll find Key West classics like The Bull, Sloppy Joe's, and Hog's Breath as well as a plethora of delicious restaurants. 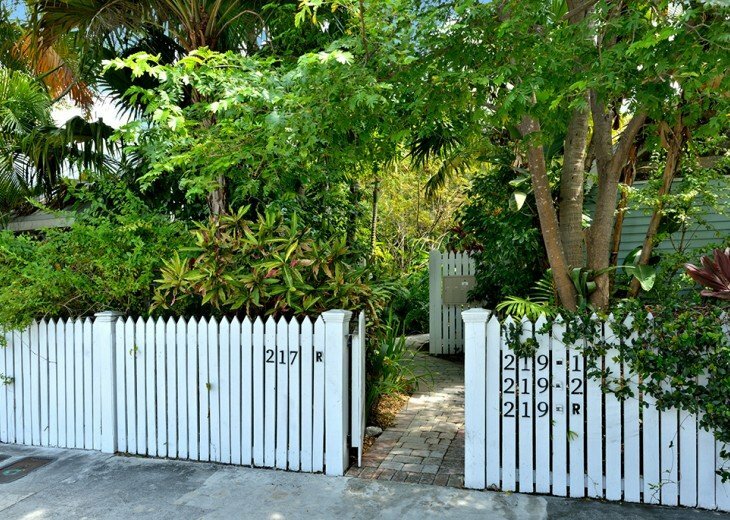 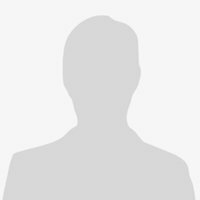 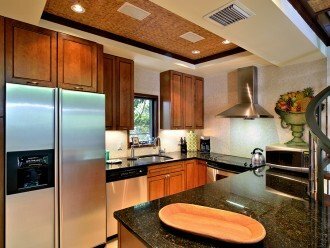 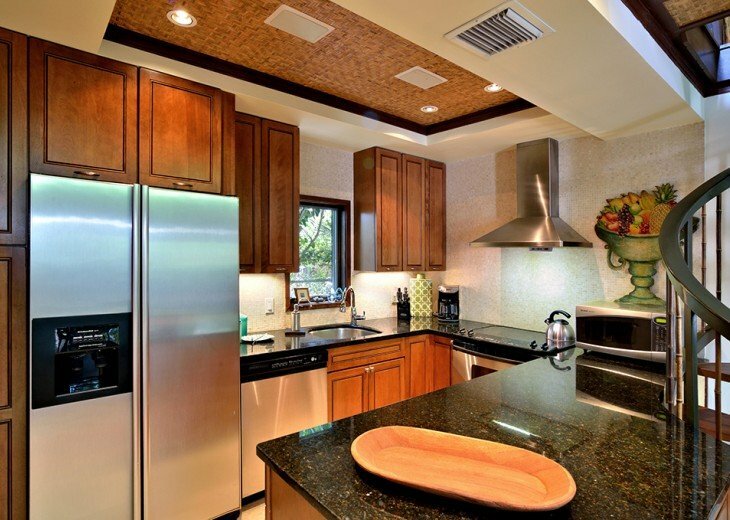 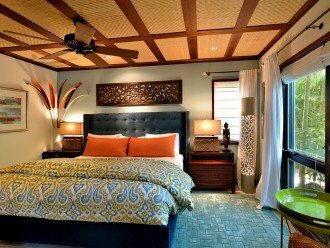 Venture just a short distance further to Mallory Square or the famous Historic Seaport. 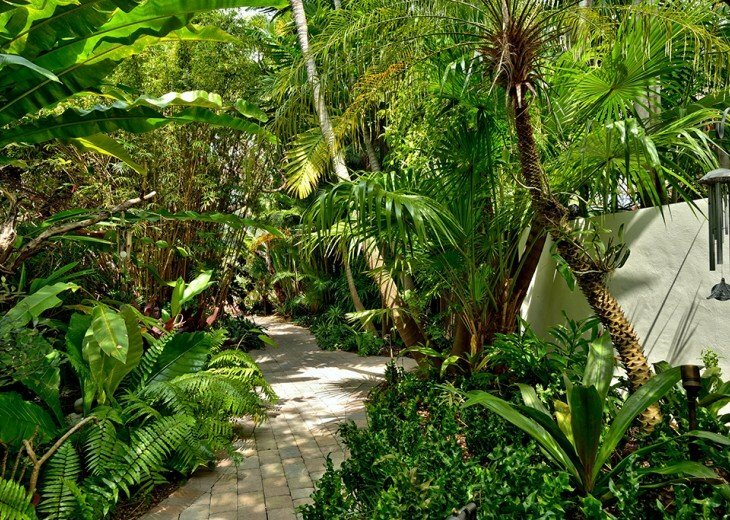 It's easy to see why this location is unbeatable. The shared compound of 6 total homes features a winding brick pathway surrounded by tropical foliage and flowers that lead to a free-form unheated pool. 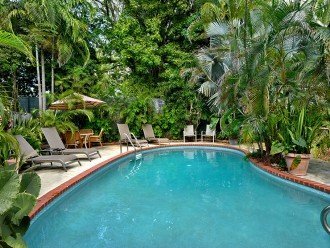 Take a refreshing dip, lounge and catch some sun, or enjoy a good book while being surrounded by beautiful trees and plants. 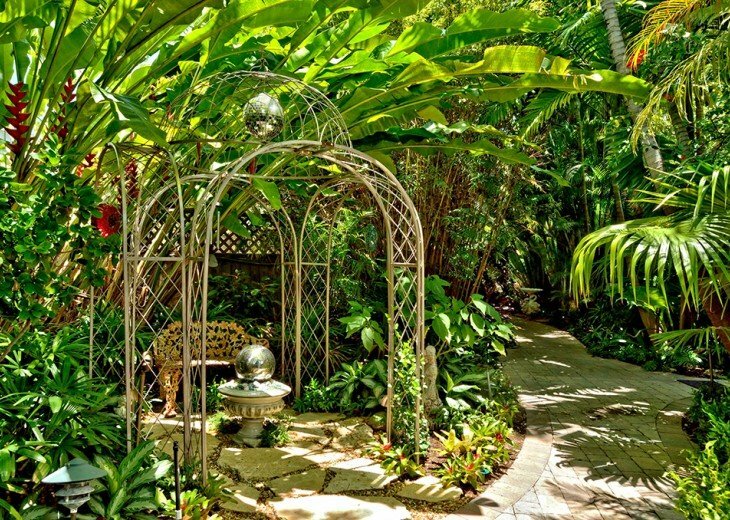 This truly is a relaxing outdoor oasis! 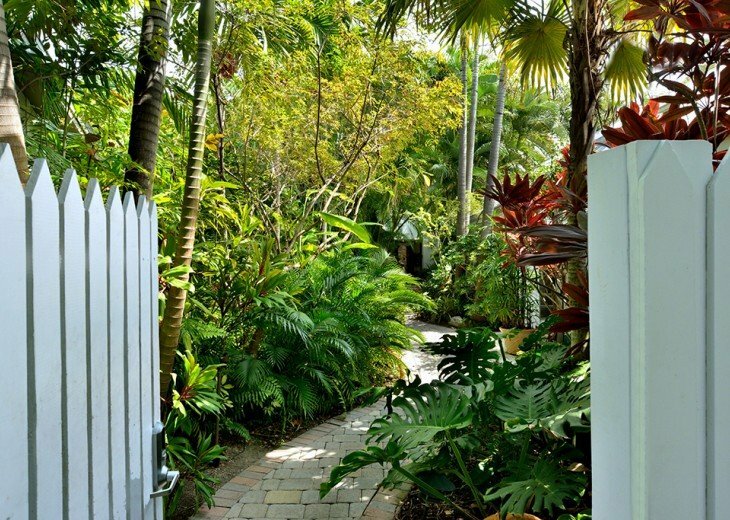 Enter through the front gates and walk through the gardens along the pathway. 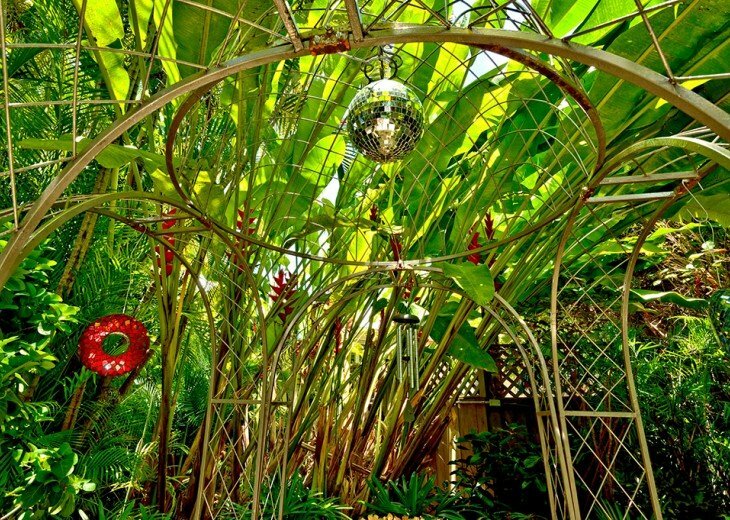 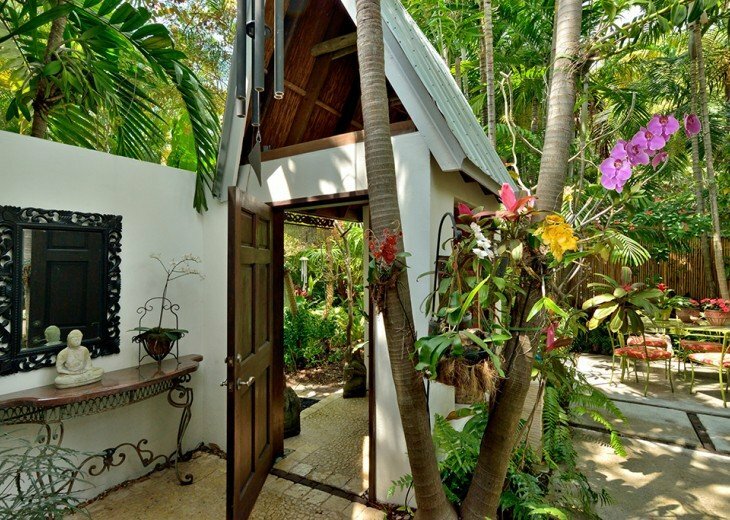 Upon entering Namaste's door you'll be greeted by a private courtyard. 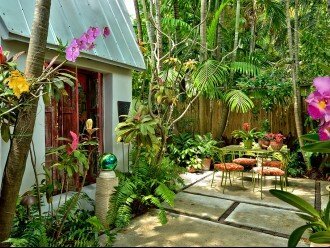 A small outdoor dining table is surrounded by bamboo, vibrant tropical flowers, lush green plants and trees that create a private outdoor oasis. 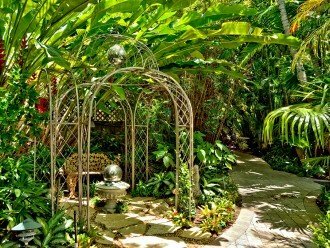 Meditate on the relaxing sound of the garden's water fountain, take in the scent of aromatic flowers or enjoy a nourishing breakfast among the plants and wildlife. 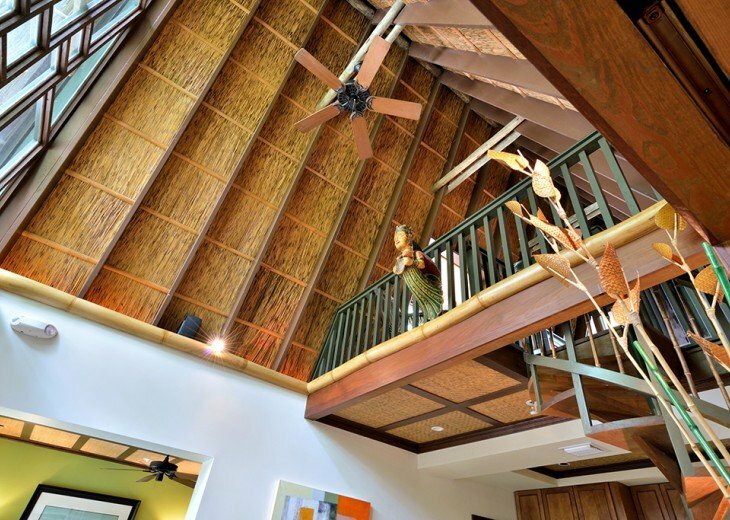 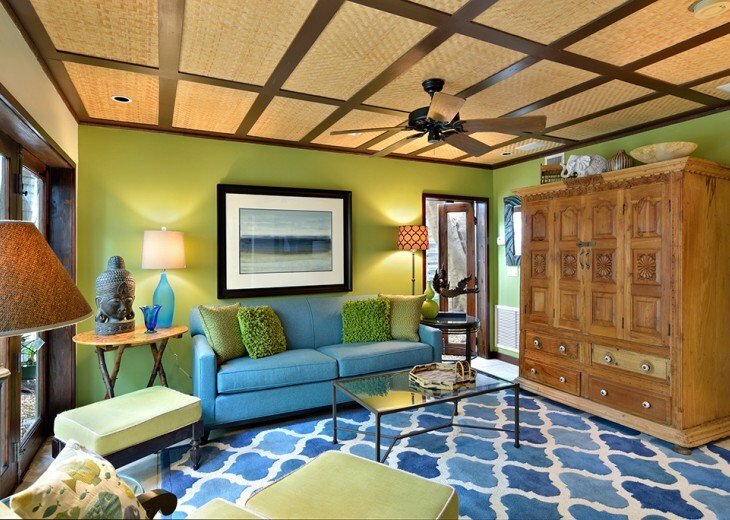 Inside the cottage, tranquility and harmony continue with calming hues contrasted with dark wood and reed ceilings. 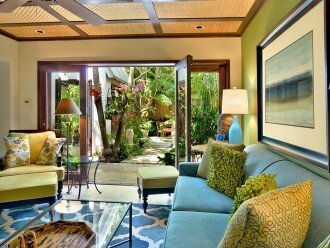 Plenty of windows throughout provide natural lighting and views of the outdoor gardens. 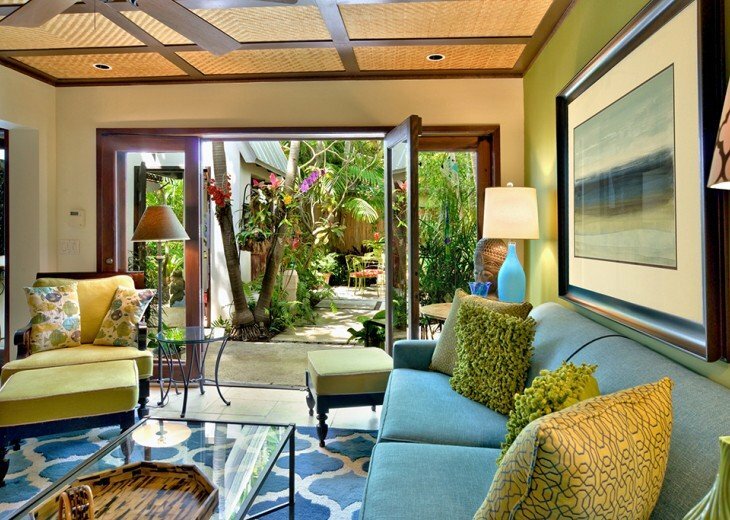 French doors from the tranquil blue and green living room open to the garden for the ultimate indoor-outdoor living experience. 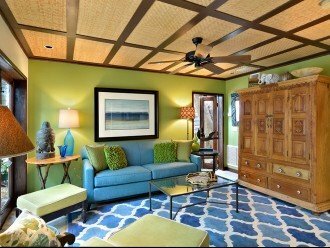 The living room has all the comforts of home with a sofa, chair and television tucked away in a beautiful detailed armoire. 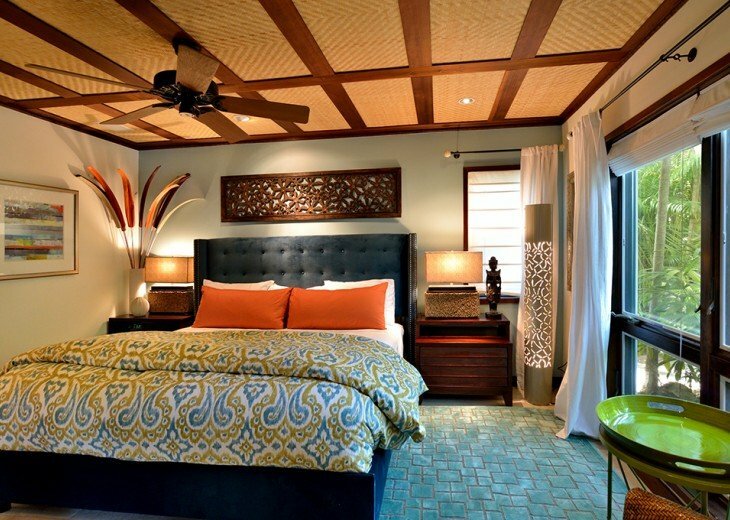 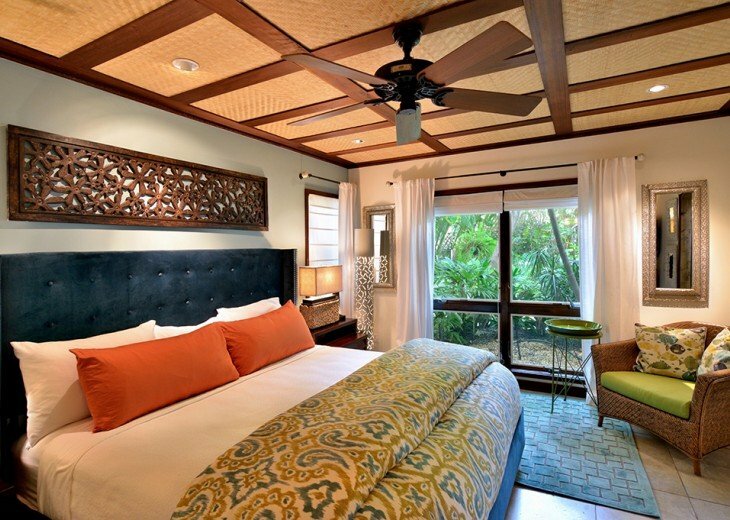 The serene bedroom is sophisticated yet inviting with a king sized bed, television, and plenty of natural light. 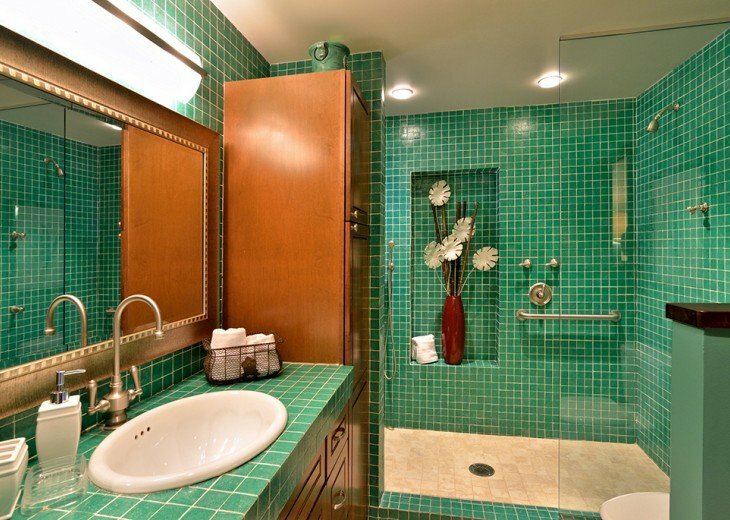 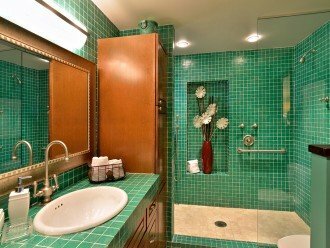 The en-suite bathroom is spa-like with gorgeous teal glass tiling. 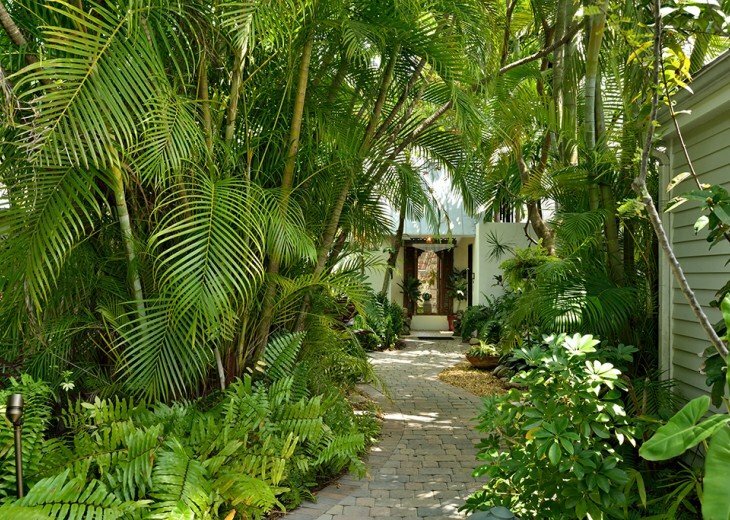 In Asian cultures, Namaste means "the spirit within me salutes the spirit within you." 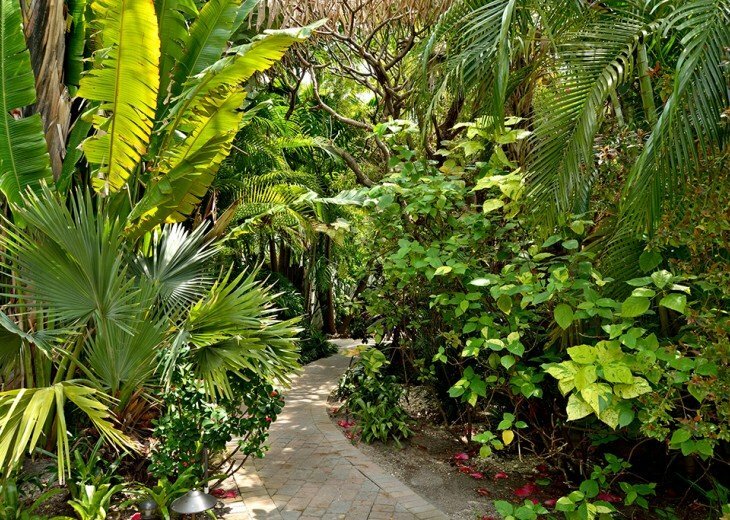 We welcome you to experience tranquility and harmony at Namaste.